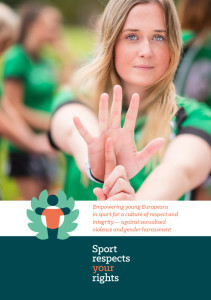 For nearly two years, the Sport respects your rights project network developed capacity amongst young Europeans at grass roots level to reflect, act and protect themselves against sexualised violence and gender harassment through creating peer-to-peer, youth-led campaigns. During this time, these young people became active agents of social change in their settings and contributed to shaping a protective and participatory sports environment in six countries. 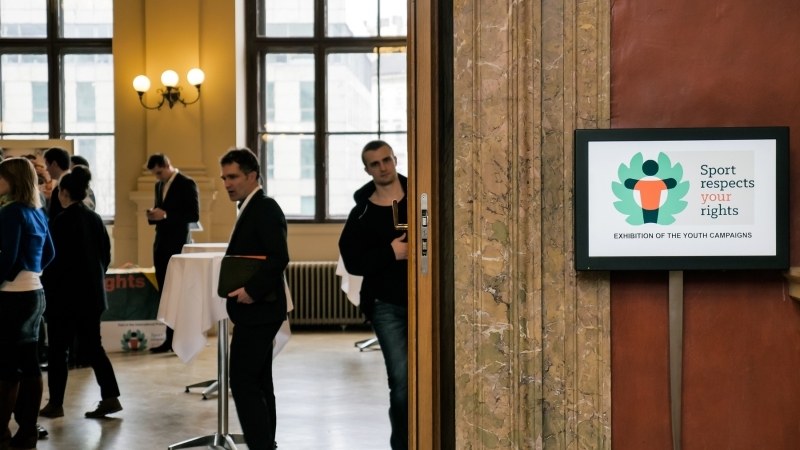 Simultaneously, the partnering organisations in the project initiated national multi-disciplinary networks involving diverse and relevant stakeholders from society to build supportive structures for the sporting sector in the future. The aim of the project network was to develop the European dialogue in regards to the prevention of sexual and gender harassment and abuse in sports and to spread good practice and experiences by empowering multipliers – young sportswomen and -men in the organized sport setting. 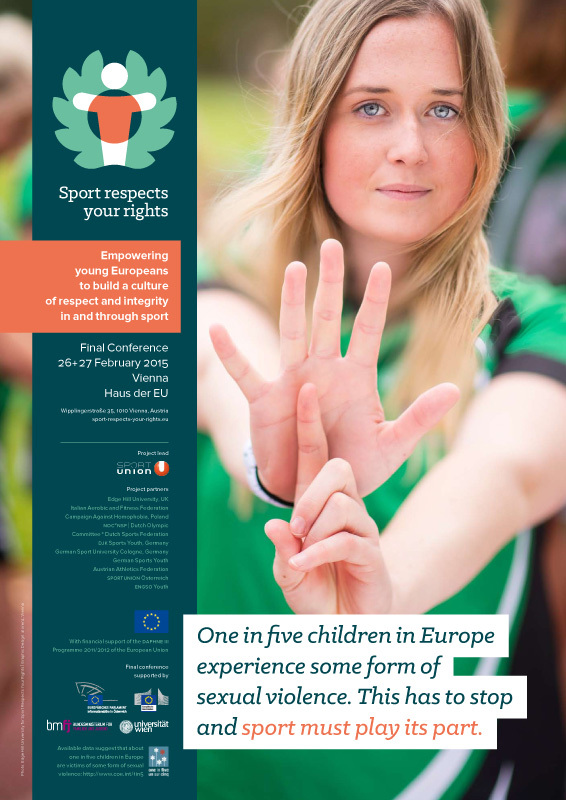 Sport respects your rights came to a successful conclusion at the final European conference, taking place on 26th and 27th February 2015 in the official representation of the EU in Vienna, Austria. 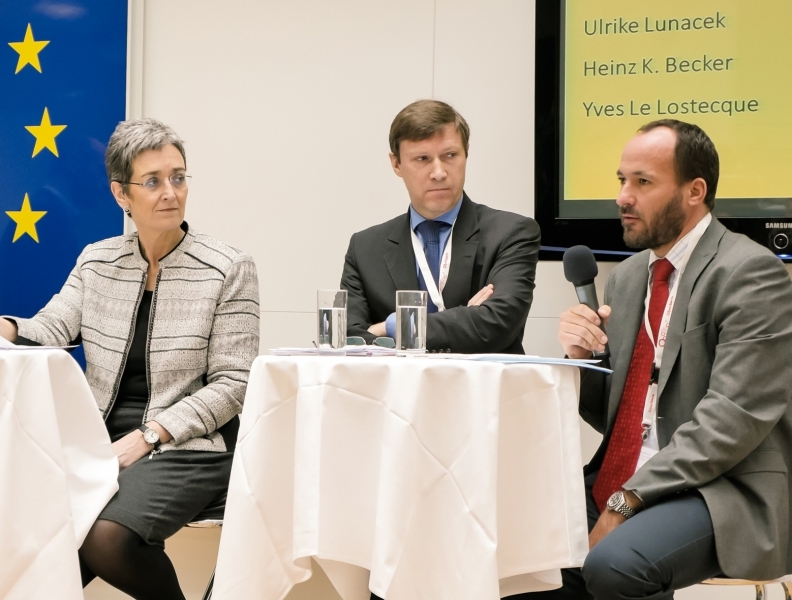 The event brought together over 120 participants from 16 countries, including members of sport organisations, European policy-makers and stakeholders, as well as national policy makers and scientists. 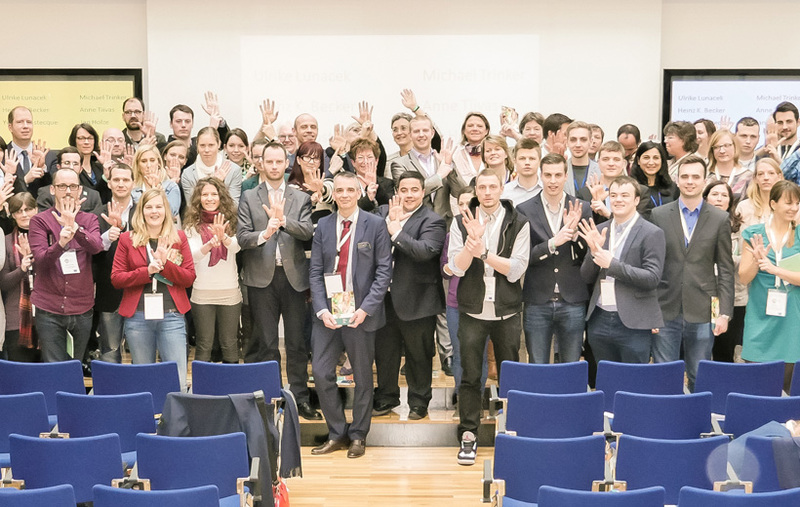 The Austrian Ministry of Families and Youth took patronage over the event and speakers included participants from the European Parliament, the European Commission, the Council of Europe, international scientists and experts, representatives from national sports bodies and grass root sports organisations. PDF downloads of the project brochure, poster, and conference programme are available here; PDFs of some of the speakers’ presentations are here. “Like” the dutch facebook pages! 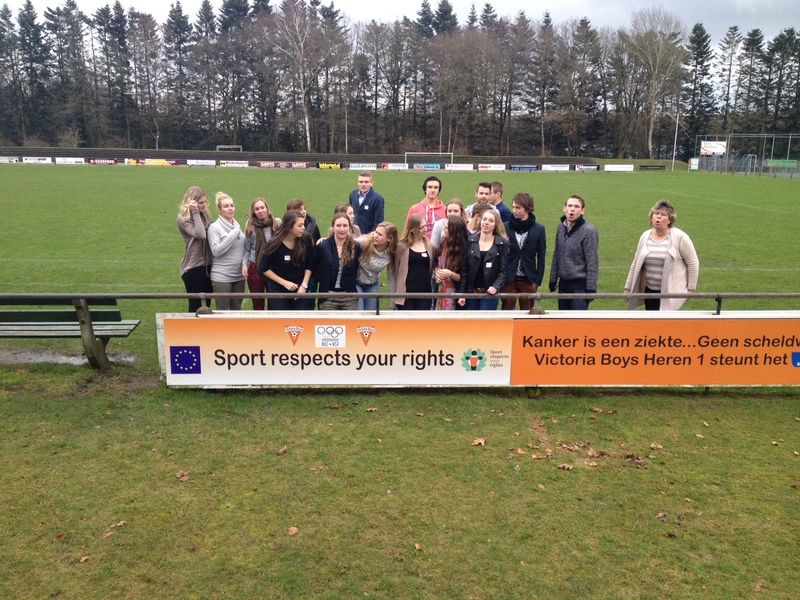 After the UBSC Graz successfully sensitized 20 young workshop participants for a culture of respect and integrity and against sexualised violence in sports at it`s first workshop, the 2nd workshop focused on developing a flyer and video-clip for the youth campaign. By mind-mapping, brainstorming and discussions in small groups and in the plenum, different aims for the youth campaign were identified and three different layouts were discussed. 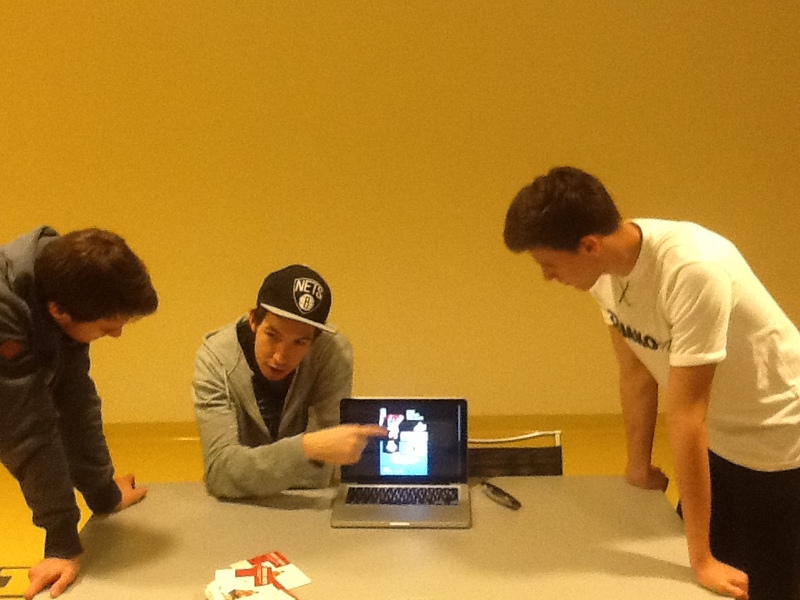 On the second workshop day, ideas were generated for the creation of the video-clip and consensus was found amongst the group about it`s message and storyboard. It was decided to inform the young sportswomen and –men, at the tournament where the youth campaign would be launched, prior to the event itself in order to sensitise and prepare them for the topic. The youth workshops have now been completed and all further steps for the production of the campaign are currently being put in place by the young team and their excellent club project leader, Otto Weiler.